Six weeks of school summer holidays means 42 days to have fun with the children, days out, days at home, some in the garden having fun, others inside playing games, baking and making crafty pictures. So much to do, so much fun to have, where do we start. If it’s sunny and you want to get out but not go to far, why not try out a local park that you’ve never been too. We discovered one the other week that ended up being fabulous, the children loved it, lots of new things to do and we ended up spending a good few hours there walking around and playing. 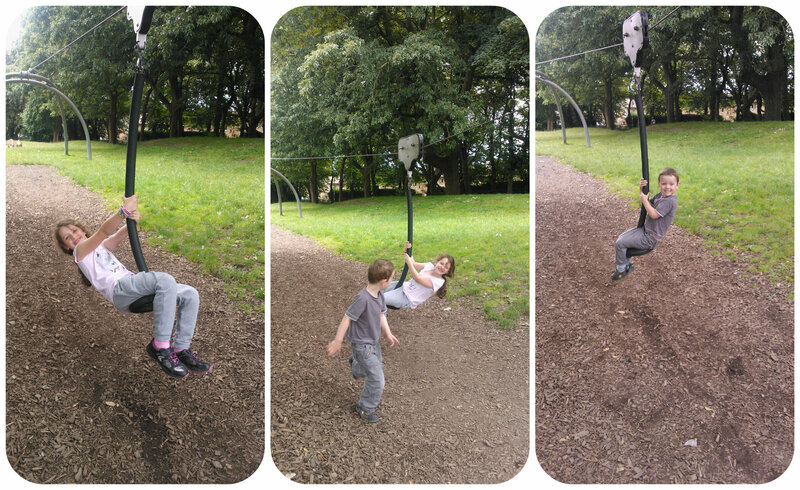 They loved the zip wire, in fact we didn’t know we had one so close to home. They are now eager to return! 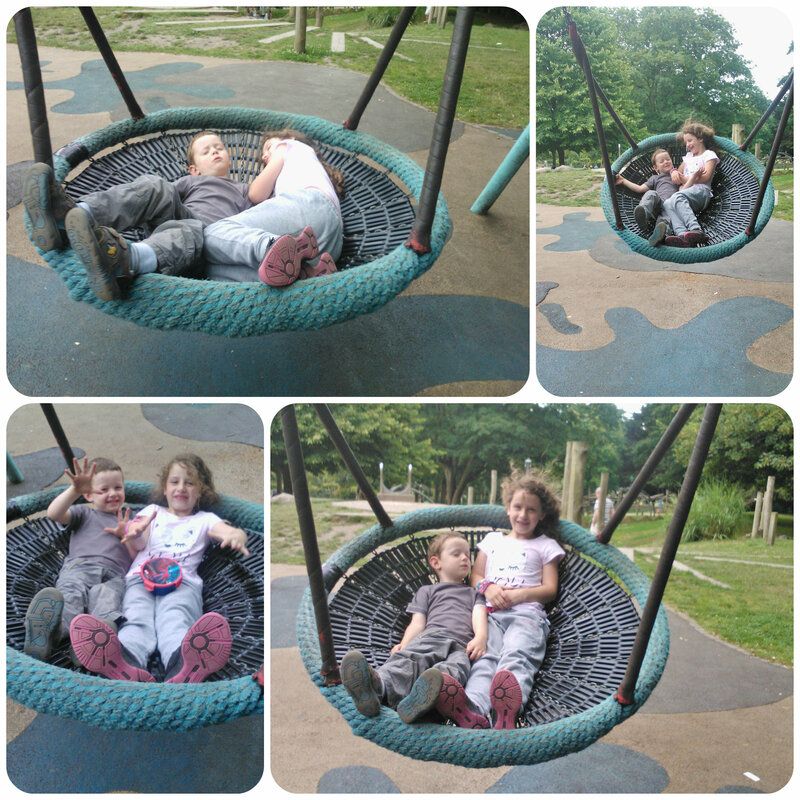 This big hammock like swing was a huge hit and my two lay on it for ages relaxing while mummy gently pushed them. 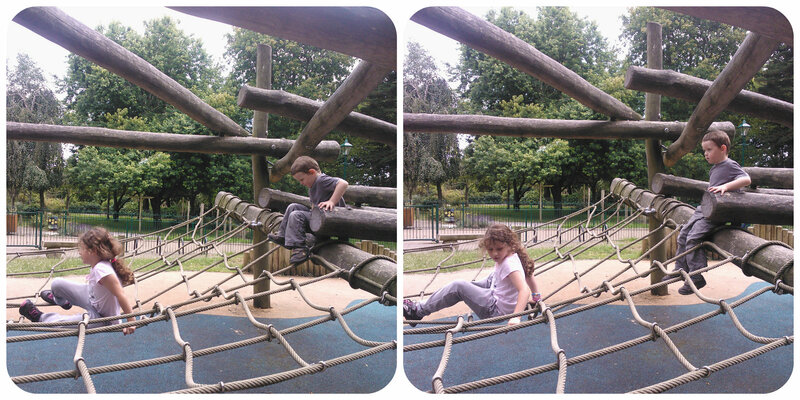 There was also a huge wooden structure to climb on, which Miss M was eager to try out. Mister B wasn’t so keen but gave it a go. If it’s a dry day why not get the children out on their bikes and scooters for a ride. 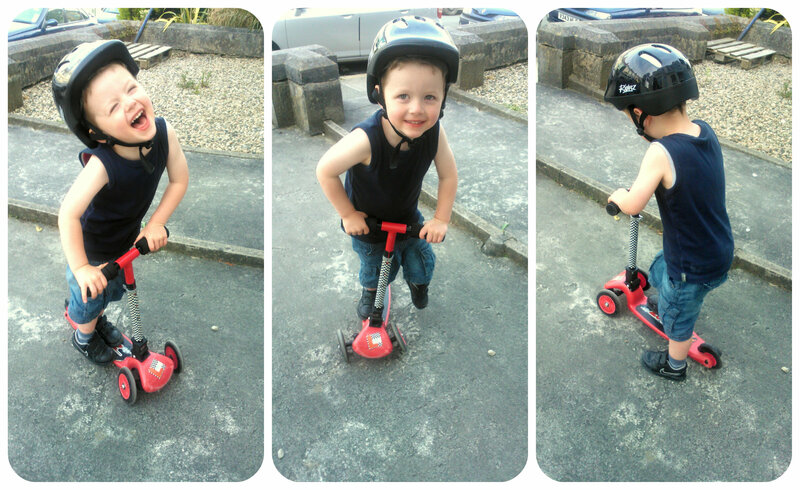 Mister B has just mastered his scooter after many months of insisting he couldn’t ride it. The summer is a great time to teach them how to ride things. If you need to get on with some household chores, then get the children to help. They love it more than you think. Here they are helping me to clear some of the plants and weeds from their grandparents garden. If it’s raining, there are plenty of things to keep children occupied with indoors, board games, cooking, crafting or how about face painting? 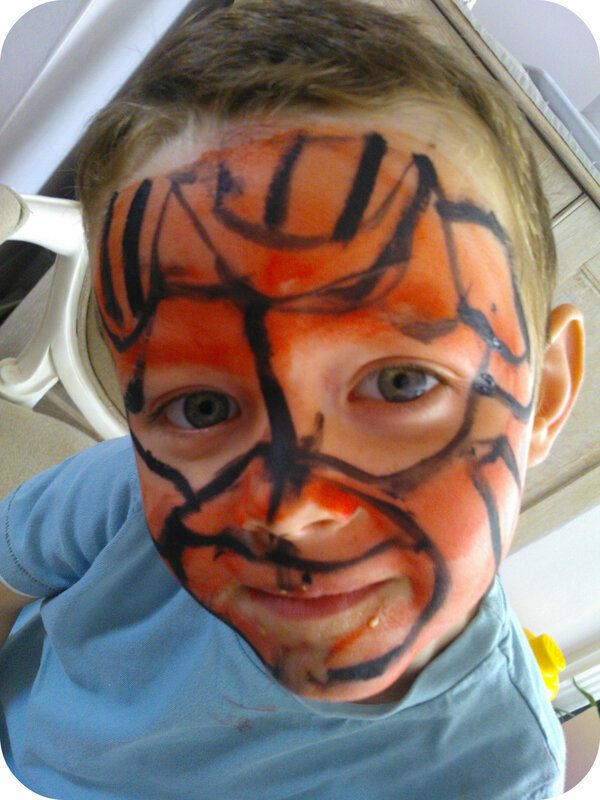 Miss M made her first attempt at face painting the last week when she painted Mister B’s face with Spiderman. I was very impressed and we had lots of fun for the afternoon decorating each other’s faces! So no matter what you do, whatever the weather, you always tend to feel a little peckish and tired in the afternoon. This is a great time to sit down and have a little snack. 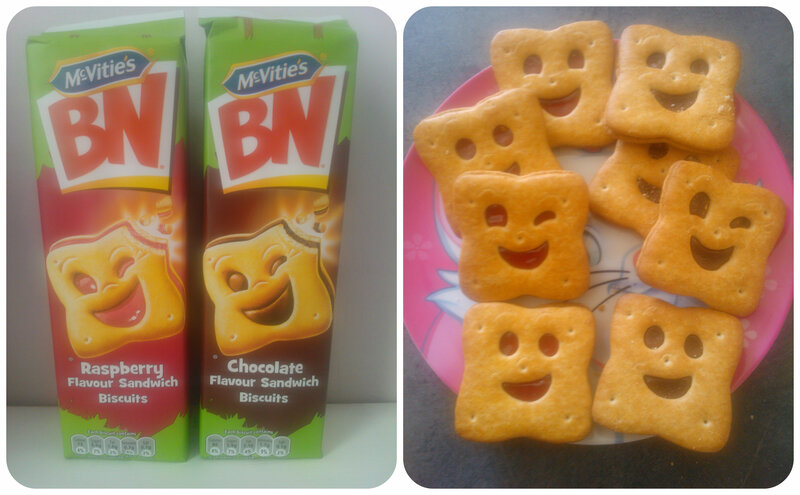 As it’s the summer holidays then why not make it a fun snack, such as a McVitie’s BN biscuit! These crispy sandwich biscuits come in Chocolate and Raspberry flavours, with a fun smiley face on the top. Miss M and Mister B loved these particularly the chocolate flavour and I have to agree they did taste rather good! 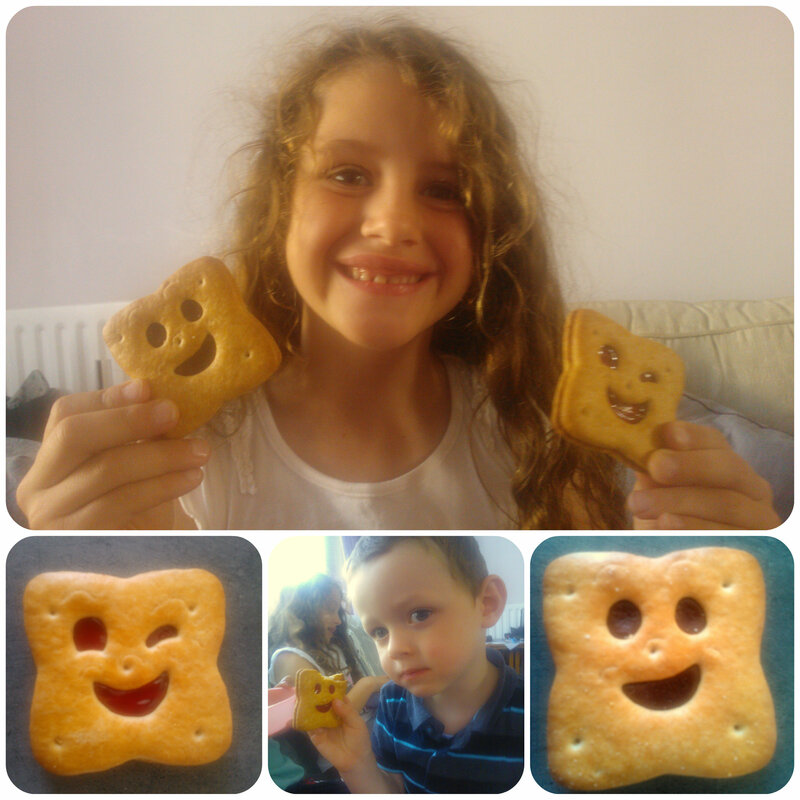 McVities BN biscuits are perfect to bring a smile to hungry children and are not too heavy so make a great snack. Why not try some to bring a smile to your summer? This post is an entry for 42 Days of Summer Linky Challenge sponsored by McVitie’s BN.